The unique setting of Deep Black comprises an immersive story line, complex science-fiction mystery, espionage and bio-terror. The story line takes place in the near future in the world of unsteadiness, chaos, espionage, terrorism, the desperate fight for world supremacy and the possession of sophisticated biological weapons. 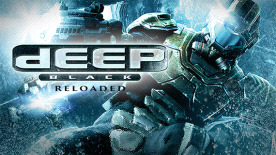 Usage of realistic physical effects in the underwater environment enforces players to feel all the deepness of fear and unpredictability of combats in Deep Black. Players will take to the murky depths armed with a wealth of underwater equipment from a specialized underwater suit with jet pack, integrated harpoon, and other high tech equipment in pursuit of enemies. With the majority of the game play taking place below the water’s surface, action-adventure fans will need to master new skills to fight hostile enemies and infiltrate enemy bases. Optimized for Intel Sandy & Ivy Bridge, working well on Ultrabooks.